The great thing about the Kahr P is that it’s perfectly suited to use as a standard firearm, but compact enough to be concealed. Naturally, that can present a conundrum as to what sort of holster to get. Wonder no more, as Alien Gear has a Kahr P holster for you, including both IWB and OWB models, all designed to function as a Kahr P concealed carry holster or open carry system, if that’s your preference. What sets Alien Gear apart is our adjustable retention shell. 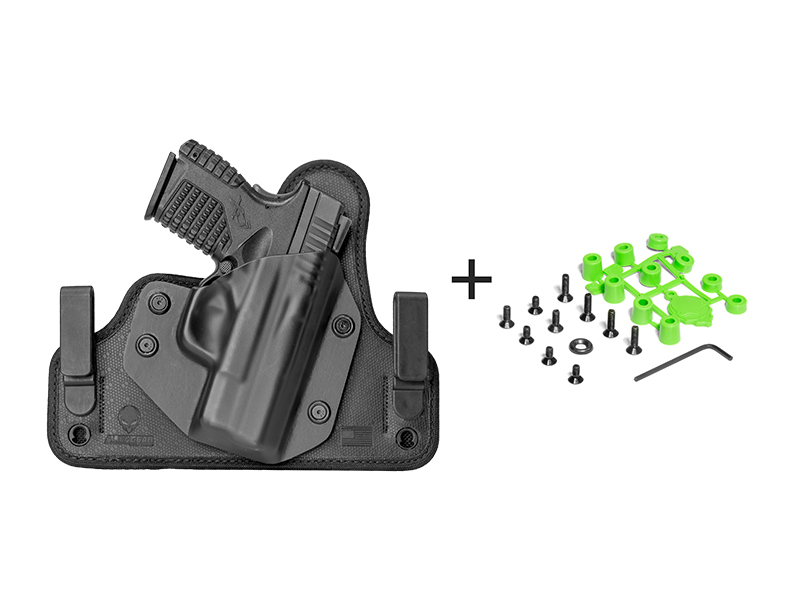 Many other makers simply rivet theirs to a holster base, but we use a bushing and screw system. Thus, retention can be made tight or loose to your specification. 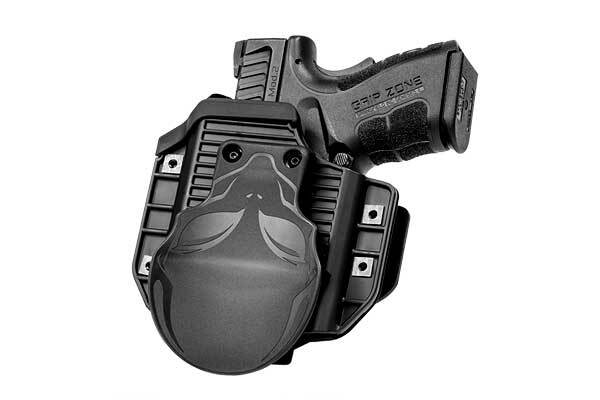 The Cloak Tuck holsters are the Alien Gear IWB models. You can choose from the original Cloak Tuck if leather is your preference, in black or tan, or the 3.0. The 3.0 is our ultra-modern model, featuring a spring steel core for maximum retention strength and flexibility. The surface is our Alien Skin covering, a high-drag surface that doesn’t let your firearm move once holstered - until you want it to. 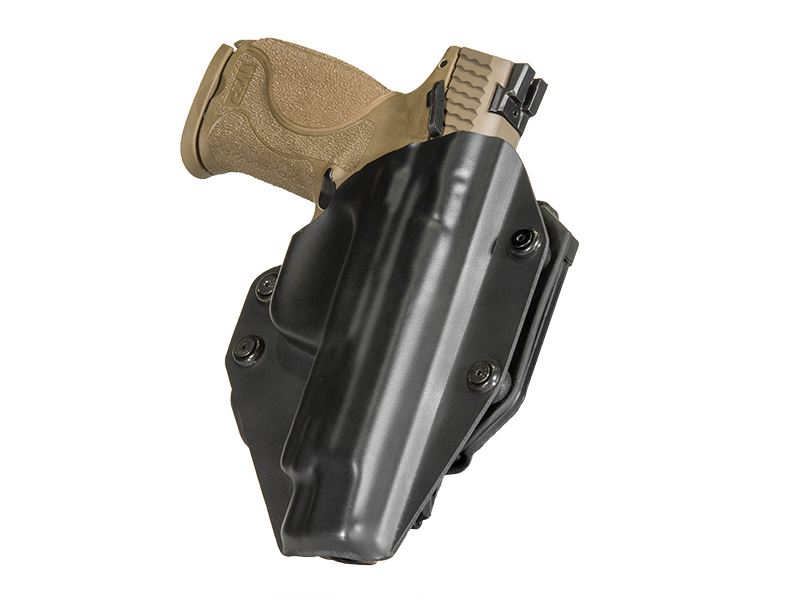 Our IWB holsters also can be adjusted for ride height and grip cant, by adjusting the belt clips or loops, though leather loops and steel clips can be had as an optional upgrade. If you would rather open carry on the hip or conceal under a longtail shirt or jacket, there is our Cloak Slide OWB holster. The Slide is made from the same high-quality, heavy-duty leather as the Cloak Tuck and is also available in the same colors. Every holster that leaves our factory does so with our Iron Clad Guarantee. 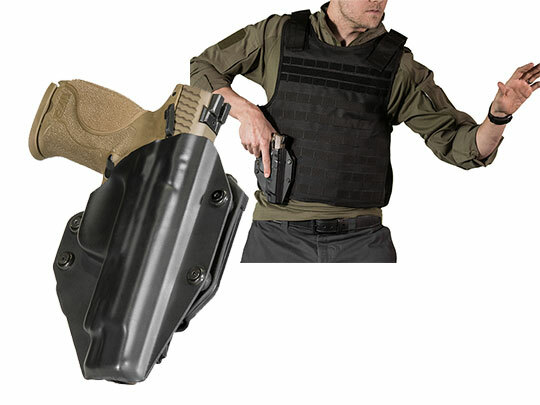 We warranty every holster for life against defect or damage, along with lifetime shell swaps. Should you replace your firearm, we will trade the shell for your new gun for your old ones, on the house. Additionally, we let you have a 30-day Test Drive. 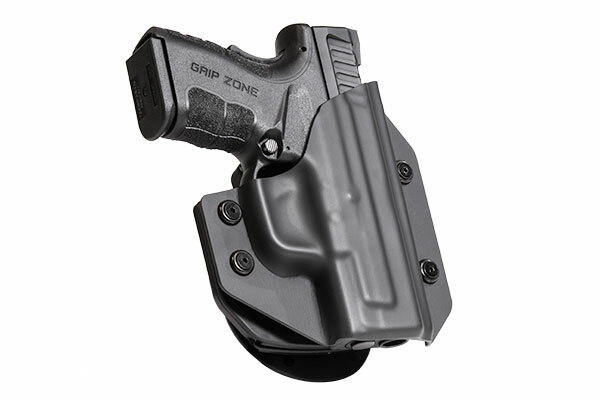 Purchase is required, but you can take up to 30 days to return your holster for a refund. Once you have a close encounter with Alien Gear, you may not want to ever take it off.